Remembering was made early in my career in the 1980’s. 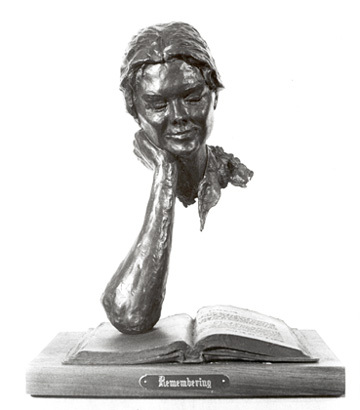 Since I told the model that the sculpture might take a while she had taken a book along, which she opened during a break. I decided then that this might be an interesting but challenging pose, so I altered the angle of the stand and proceeded the sculpture with the book included.